U.S. Senator Joe Manchin (D-WV) applauded the Senate passage of legislation he cosponsored honoring the life, legacy, and scientific contributions of famed mathematician and West Virginian Katherine Johnson. The bill would rename the National Aeronautics and Space Administration (NASA) Independent Verification and Validation (IV&V) Facility in Fairmont, West Virginia, after Mrs. Johnson, who was featured in the film, "Hidden Figures:"
“I applaud my Senate colleagues for passing this legislation, which I was proud to cosponsor, to rename Fairmont’s NASA IV&V facility. Not only did Katherine Johnson, broaden our nation’s perceived physical limitations with her contributions to the space program, she also broke down discriminatory barriers that stood in the way of so many other women and people of color advancing in the workplace. 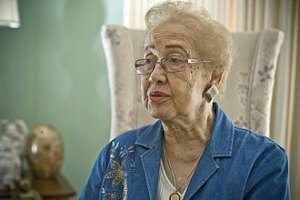 Katherine Johnson is one of West Virginia’s finest and a groundbreaking, brilliant mathematician. No individual is more worthy of this honor than her. Through her brilliance, strength, and courage, she proved to the country that anyone—regardless of race, gender, or background—can touch the stars,” Senator Manchin said.